5 ML LDPE Dropper Bottle with White or Black (Depending on stock) childproof cap and short tip dropper. The goal was to repack fluids for travel and first aid - aftershave, eye drops, etc. 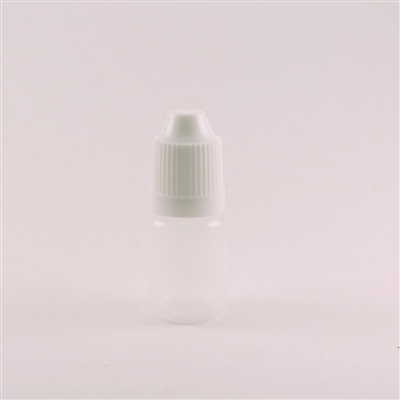 - into smaller containers, and these dropper bottles work great. The droppers provide a decent seal, and then the locking caps do the rest of the job to keep things from leaking. So far, so good!